Rita Sahatçiu Ora is a British singer, songwriter and actress. She rose to prominence in February 2012 when she featured on DJ Fresh's single "Hot Right Now", which reached number one in the UK. Her debut studio album, Ora, released in August 2012, debuted at number one in the United Kingdom. The album contained the UK number-one singles "R.I.P." and "How We Do (Party)". 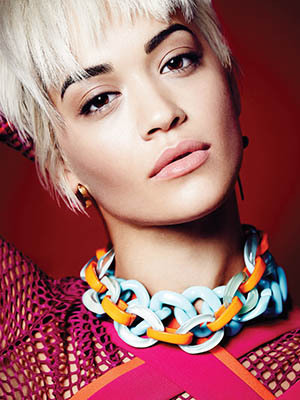 Ora was the artist with the most number-one singles on the UK Singles Chart in 2012, with three consecutive singles reaching the top position. In January 2014, Adidas announced a designer collaboration with Ora for their brand, Adidas Originals. Her second studio album, Phoenix, was released in November 2018. The lead single, "Your Song", reached the UK top ten, and the subsequent singles, "Anywhere" and "Let You Love Me", reached the top five in the UK; the latter single made Ora the first British female solo artist to have thirteen top ten songs in the United Kingdom.